Let’s not forget there are plenty of upsides to being an HSP and homeschooling. Here are my top six, I would love to hear yours! 1. I have a keen insight into my kids’ educational needs. HSPs are often intuitive and I am no exception. Being with them all the time I can see when we need to speed up or slow down. I can tell when they “get” something and need no further explanation or practice, or when that light of recognition flickers and they are just faking their understanding. We can then work accordingly without being bored to tears or left behind as they might be in a classroom situation. I also get to be part of most of their “a-ha” moments where things start to click for them. This is so fulfilling. 2. I have insight into my children’s emotional needs. Being together, I see how they are feeling and how they are reacting to each other and their work and play. Being an empath, I often feel it myself! Because of these things, am better able to empathize than a non-HSP (which I believe is key to healthy development of children) because I can be so highly attuned to what they are going through. I can empathize with my school child because I remember being in those situations, but with my kids at home it’s a more organic “in-the-moment” thing. I don’t have to rely on their relaying information to me, I’m often there to experience it. 3. Homeschooling is a creative outlet. I think many HSPs are creative and need a creative outlet to be emotionally and physically healthy. Homeschooling can be a great creative outlet for HSPs. You can choose curriculum, create projects and science experiments, do art with your kids, explore gardening and nature, and more! And your kids don’t care that you draw like a third grader (*ahem*) so you can get right in there with them and not worry about being judged. 4. I can re-parent myself through my kids. This may not be true of every HSP, but so many I have met have suffered trauma, made all the worse because they are highly attuned, sensitive people. By being home with my children so much, I have so many more chances than a parent with kids in school, to re-parent myself through my kids. I don’t mean living through their successes or letting them parent me, but rather treating them as I should have been treated, therefore creating a family culture and climate that is more nurturing. This in turn helps me heal. This is important for most HSPs and gifted people – we have a high moral sensitivity and need to walk the path we know is right for our families even if it’s the hardest thing we’ve ever done. I do not mean to imply that homeschooling is moral and not homeschooling is IMmoral – no! I have kids both at home and in school. I simply mean that we have a deep need to do what is right for us and our families, even when it’s off the beaten path. 6. Last but certainly not least – BOOKS! I love that we can enjoy something I love so much, together. 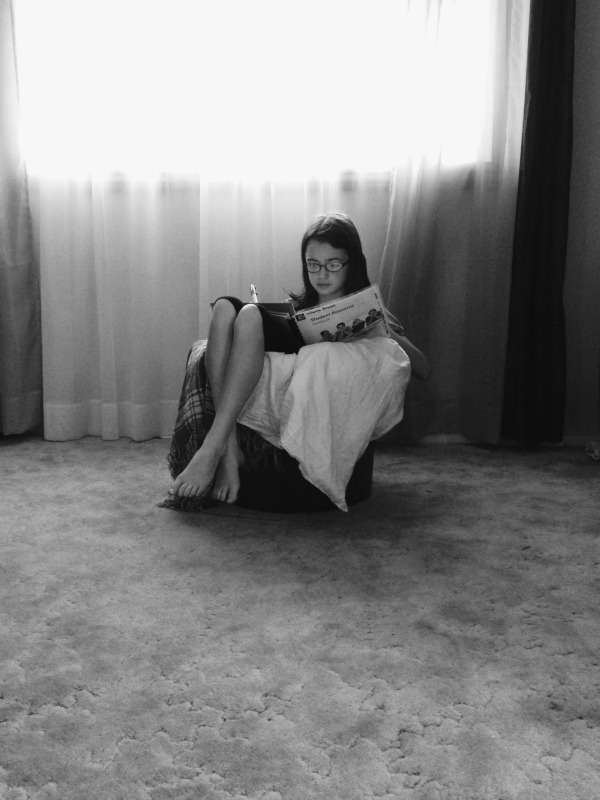 I would love books even if I was not highly sensitive, but I think I like them more because I am. 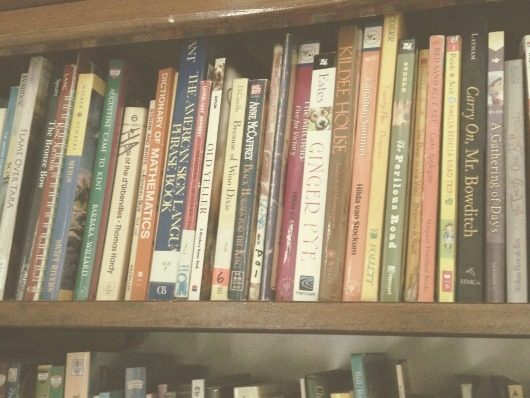 I love that we can build a family culture around books, as Sarah from Amongst Lovely Things says. I know I haven’t been reading as much lately, but I miss it and it’s something I need to return to. 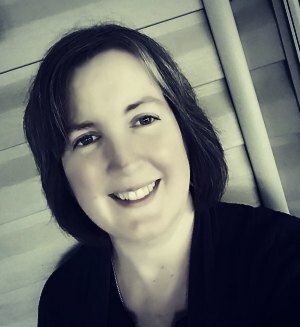 There are so many positives to homeschooling, but these are the six biggies where I feel being an HSP and homeschooler intersect. 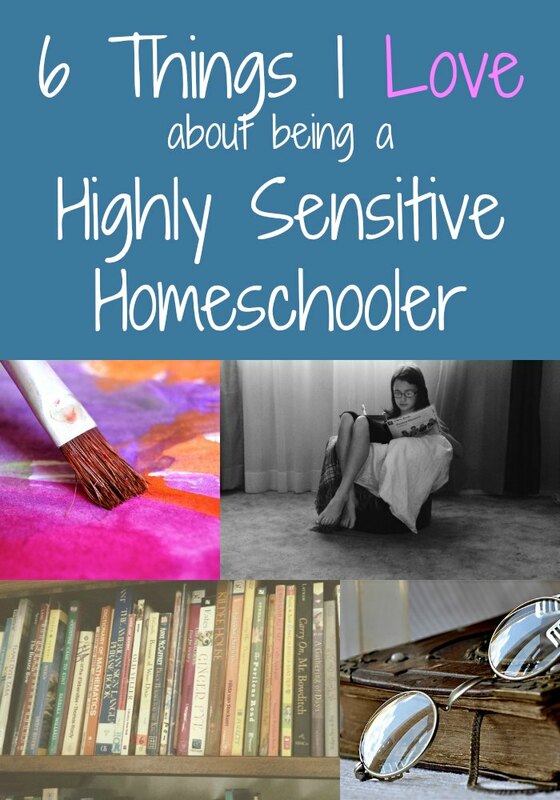 What are your favorite things about being a highly sensitive homeschooler? I’d really love to know! This describes me so much and I have only just discovered that its a thing. I’m trying so hard to see the positives as I have been drowning in noise and chaos for years as I feel like I HAVE to homeschool even though I have nearly given up at least a hundred times. Now I have 7 children and some of them are very sensitive like me. Do you have a recommendatuon for a book to read on this subject? I was looking at the highly sensitive person but saw there’s one written for the child. I truly don’t have time to read every book there is on it. But I do desperately want to help my children and I see that this is a gift from God! And appreciate our uniqueness. Thank you for being my springboard on the positives!